In a post a few weeks ago, I celebrated the joy of living near a park. More and more I find myself drawn to plants, to trees, to gardens and parks, and to the people who appreciate and maintain them. Gardeners are wise, peaceful and interesting people, every single one of them (probably). 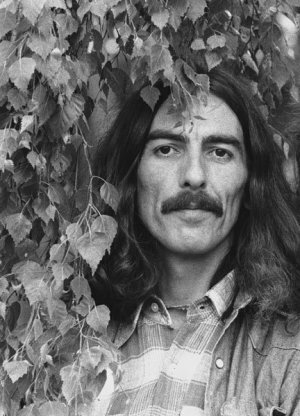 George Harrison (no less) dedicated his autobiography "to gardeners everywhere". The other day I was chatting to a wise older lady about allotments in Manchester. She has had hers for years. 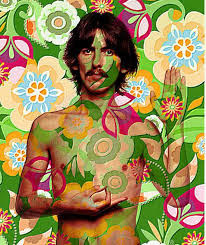 She knew all about gardening. She new about a lot of things. You could see it in her eyes somehow. George Harrison: fond of plants. Sunday morning was glorious, so off I toddled for another green stroll. The sage bush and conquering mint weeds of Clarence Park's neglected sensory garden continue to thrive despite (perhaps because of) a lack of any human intervention. 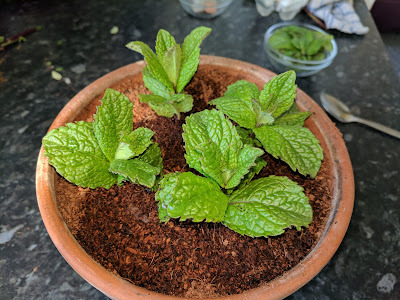 Unfortunately, the only cuttings I nabbed that have survived indoors have been the mint sprigs. The sage died, but death is not the end if you are a plant. So I nabbed some more. Quite a bit more. 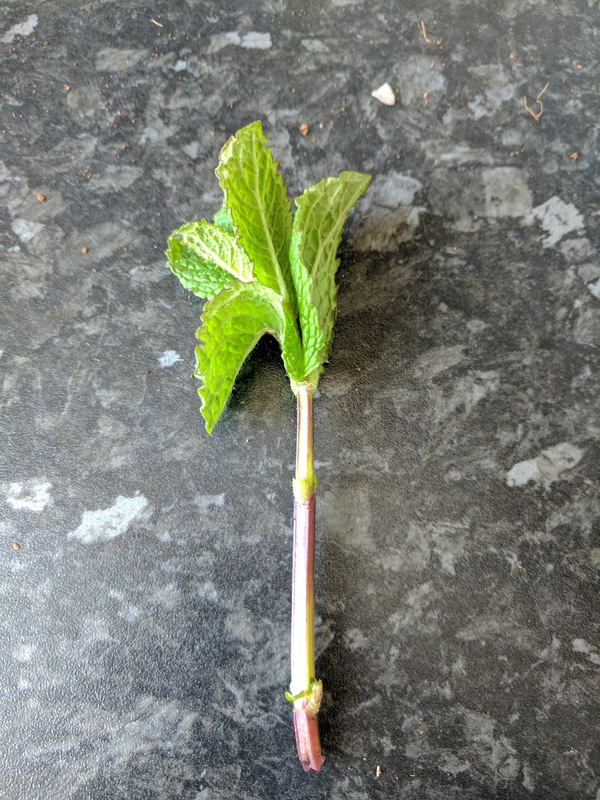 If you want to propagate some mint yourself, here's how I suggest going about it. 2. 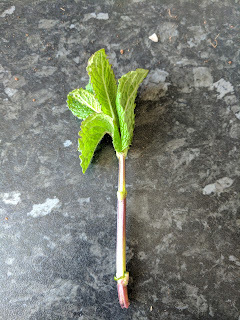 Remove all but the top leaves, and trim the remaining stem so that just 'nodes' remain lower down where the leaves previously were. Save the leaves for whatever purpose they may serve for you. (I add them to my coffee). 3. Plant into soil, with just the leaves showing above the surface. 4. Water generously and leave in a summer spot. 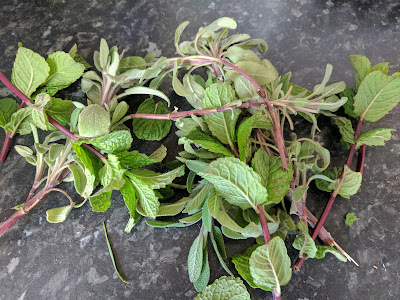 As for the sage, that's one of my favourite herbs to use in cooking. 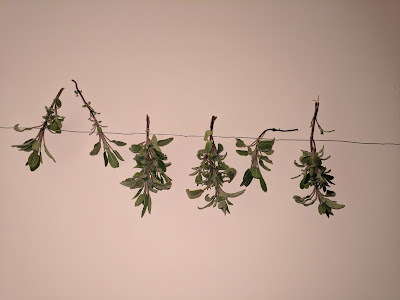 So the sprigs I took today, instead of planting them, I've hung up to dry. Decorative, and useful too. 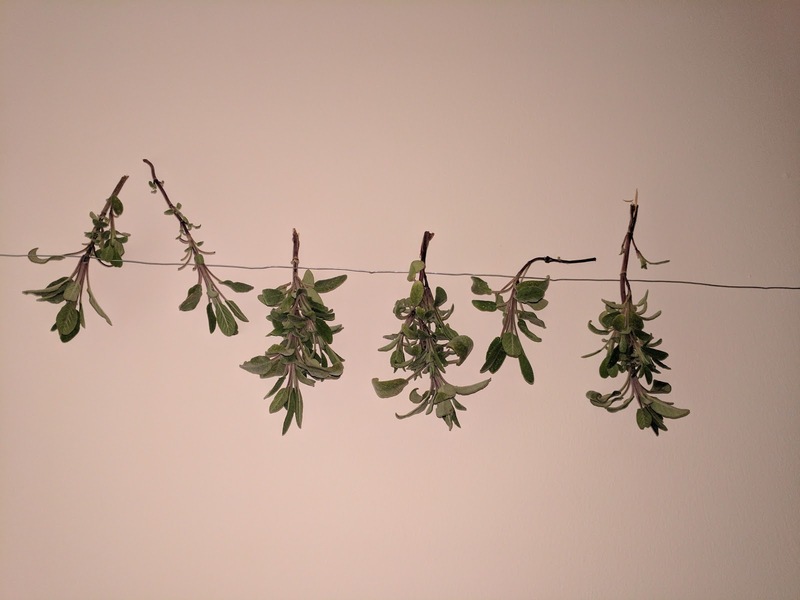 Sage will dry fairly quickly when left in an airy location. Crumble it up when it's dried out, and add to savoury food to make it yummier. Another option is to use it with parsley to make your own simple tea. I noticed this time that some chives are also doing very nicely for themselves in the sensory garden, about to flower I think. These are more difficult to just nab, as I'd actually have to dig them out at the roots if I were to propagate them myself. Still, they make a fresh and tasty snack when you're in the park. And why aren't you in the park? I don't think there's a good answer to that.